Saint Laurent fans, listen up—something special is upon us. Hint: It's black and white and on preorder. The fourth iteration of the brand’s iconic utilitarian ankle booties—a black-and-white polka-dot version in Italian calfskin, to be exact—is here. The news arrived in inboxes yesterday afternoon via e-notice but was only sent out to a select number of brand "loyals." Luckily, anyone can reserve a pair on the site now, with delivery slated for sometime in February 2016. We have to say we're totally in love with the printed lace-up boots—not so much the wait, though. They're the perfect complement to shorter dresses and cropped denim. Keep scrolling to preorder, and for those who don’t want to wait two months to receive your boots, two alternate prints of the same style are available right now. 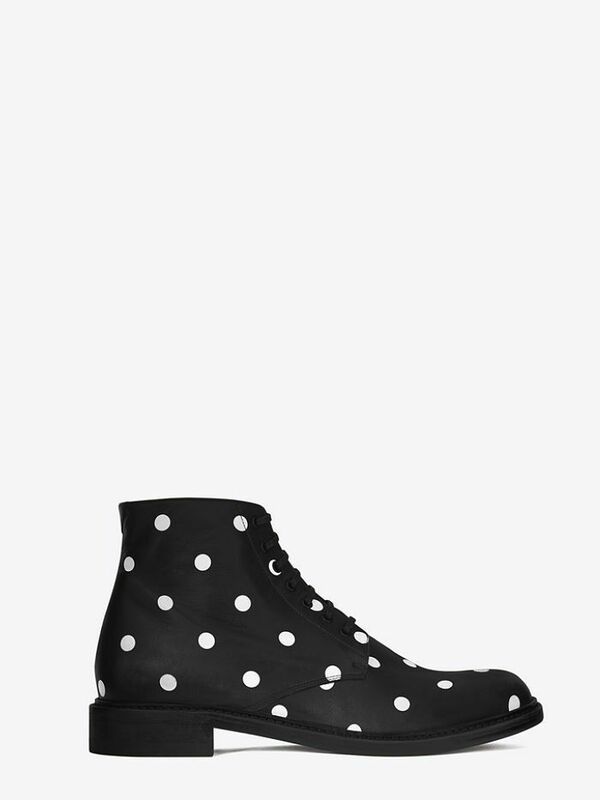 Would you wear polka-dot combat boots? Sound off below!